I think parts of Texas have had a lot of rain since we left. I hope Lake Arrowhead got some! It would take a lot to bring the level back up to the fishing pier. Thanks for sharing about this park, as it is one I’ve looked at checking out on several occasions but always bailed when looking at the lake level. That does look like a nice camping area. North Texas has received a lot of rain over the past couple of weeks, thank goodness. I will check again to see if this one received enough to bring it up a bit. 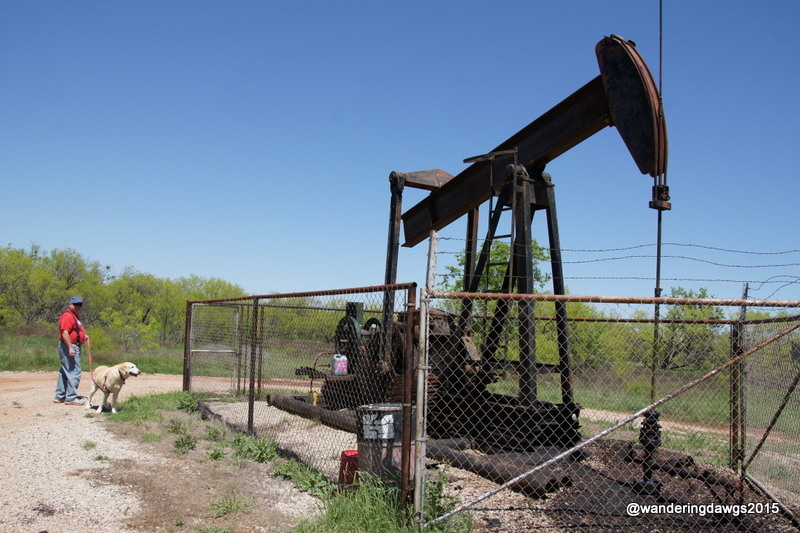 The Wichita Falls area has been one of the areas with really severe drought issues lingering. Love the flower photos! 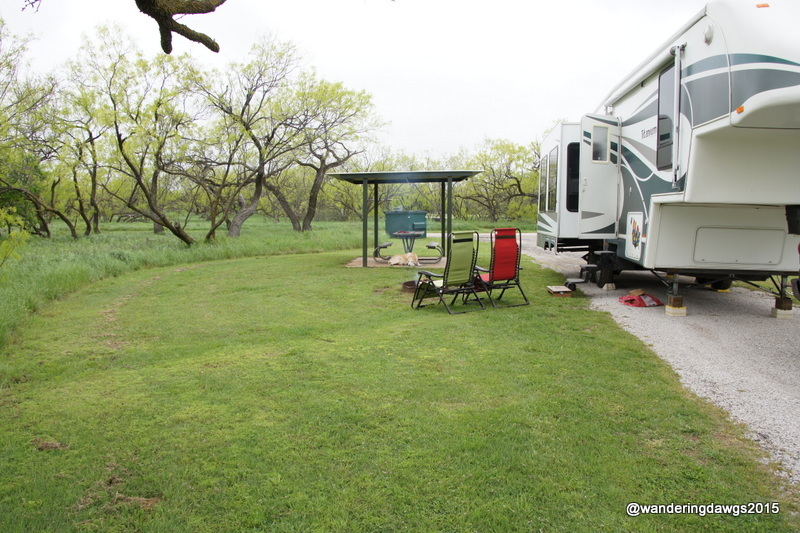 The prairie dogs have pretty much taken over some of the campsites. We were in site 25 in one of the loops they haven’t spread to. There were some nice hiking trails and we enjoyed it even with the lake being low. 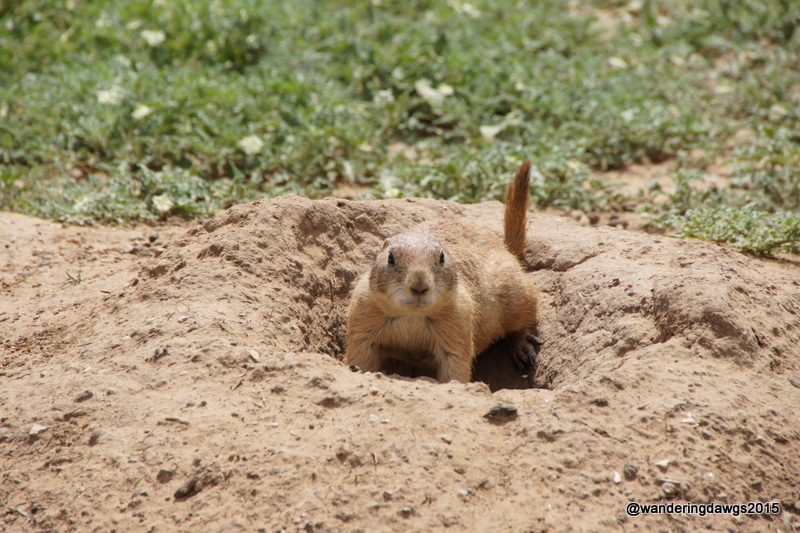 We are actually not big fans of the prairie dog relocation efforts to the state parks. We have them all over our city, too. They can pretty much destroy the area where they live. But, I also love them and don’t wish harm to any of them. They are so cute. Caprock Canyons introduced them to an area adjacent to the campground about three years ago, and they are spreading all around but not to the campground itself yet. If you ever come back to this area, Copper Breaks is also a little hidden gem when it is green. I bet it is absolutely gorgeous right now after recent rains, too. We camped at Copper Breaks in May four years ago and really enjoyed it. I didn’t know the prairie dogs had been relocated to state parks. I know for sure they were at Caprock Canyons, and I think most other parks have also taken in rescues, too. They actually attract a lot of visitors, which is pretty funny to us, since we have them on almost every vacant lot here now, it seems. They are cute, though. Those are the CUTEST little furry critters — the priarie dogs. Can’t wait to see one. The flowers are beautiful. Thank you! The prairie dogs were fun to watch. Thanks for sharing about this park! We’re from Texas but haven’t been to all the state parks. I believe the name of the purple wild flower you marked as unknown is a Prairie Verbena, or Sweet William. They are one of my favorites! Oops, I should have enlarged the picture before I posted my other post. Those are not Prairie Verbena/Sweet Williams. I don’t know what those are. We have them where we live too. Thanks for trying to help identify those flowers! I have two different wildflower identification books and haven’t been able to figure out what they are. Oh, I love Prairie Dogs! I have never camped with them though, so that would be fun and interesting for sure. Looks like a great state park to visit. I just don’t understand why all the flowers are not in the books. So frustrating! Besides using my books, I also search on the internet with some success. Sometimes the state parks have pamphlets with pictures of wildflowers located in their parks. Guess you will be reaching Georgia before too long. Happy trails! It was the first time we’ve ever seen prairie dogs that close. When we drove by in the truck some of them would be right beside the road. As far as identifying flowers I even bought a Texas Wildflower book and can’t find some of the ones I photographed! 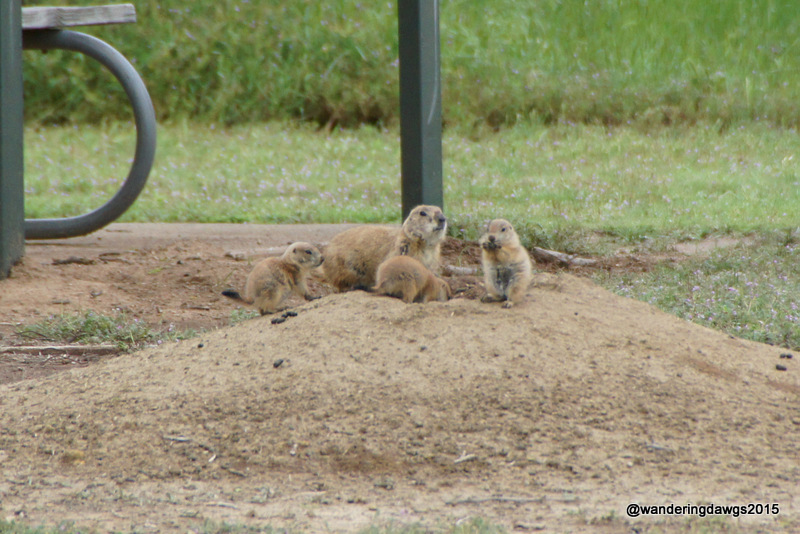 We have watched prairie dogs for half an hour – a lot like puppies at play! We’ve gotten to Fredericksburg,TX for our rally, which ended Sunday. Beautiful flowers, green grass & lots of great people here. We didn’t stay in Fredericksburg but went there back in April. The flowers were just starting to bloom. Safe travels! Thanks Holly! I saw some pups running around but couldn’t get a photo. We could see them up close from the truck. They ran when I was with Blondie! I love all the wildflowers. Sad to see the water level so low. 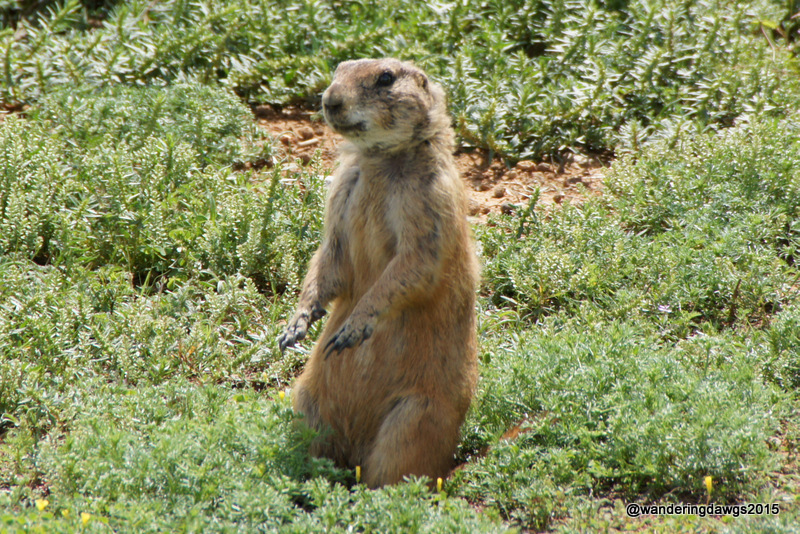 I too never tire of watching those prairie dogs….. however, we never allowed our dog to get even close to a colony in Colorado. Certain prairie dogs carry flees carrying the bubonic plague. It’s a serious issue in Colorado. Ingrid, I had no idea about the issue with prairie dogs carrying the bubonic plague. When I took Blondie for a walk the prairie dogs all disappeared so she never was close to one. They would run from Blondie but not from the truck. I was so glad to see more wildflowers! Lovely post, but you got me with the Prairie Dog pics. Luv ’em little rascals. They are funny to watch! 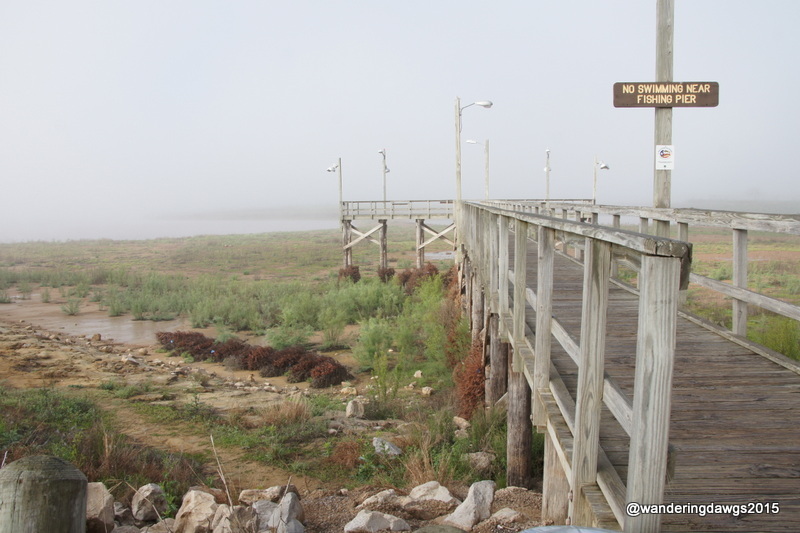 I was interested to hear that Sevilleta NWR has a PD re-introduction program going on. The prairie dogs kept us entertained! I’m glad we got to see the bluebonnets one more time.